Hinshaw & Culbertson LLP is one of the nation's leading firms representing domestic and foreign insurance companies in a full range of matters. We regularly represent insurers in state and federal courts across the country and internationally at the trial and appellate court levels. We evaluate and resolve matters from the claims stage through mediation and arbitration. We provide coverage analysis and opinions. We also evaluate client portfolio issues, assist in product development and drafting contract language, and provide training and other advice. We often serve as national or regional counsel. Our lawyers also represent insurers with regulatory compliance. Insurers appreciate The Hinshaw Advantage. Hinshaw lawyers also have specific expertise in a variety of specialty policies, lines, and products, including MGA, jewelers, fine arts and collectibles, classic cars and antiques, identity theft, drones, transportation, pharma, organic foodstuffs, green technology/buildings, weather derivatives, nanotechnology, mining, railroad, kidnap and ransom, travel, equine, animal, warranty programs, life settlements, lender placed coverage, Native American/Tribal and affinity programs. Our experience also extends to a variety of structures for managing, transferring, and retaining risks, including self-insurance, fronting arrangements, captive policies, risk retention groups, pooling arrangements and trusts. Hinshaw is one of the premier law firms representing insurers in a wide-range of coverage litigation and coverage disputes nationally and internationally. Hinshaw lawyers have appeared in courts in every state, in every federal circuit and before the United States Supreme Court. Our experience includes coverage issues arising out of losses relating to products, operations, and premises; pollution, mold, toxic torts, and global warming; intellectual property; invasion of privacy, false imprisonment, slander, and defamation; advertising, publishing, and media liability; cyber liability; malpractice and professional liability claims of various types; spinal fixation devices; construction defects; sexual abuse; murder; property damage; and lost profits. We represent insurers in declaratory judgment actions, actions involving defense, indemnity, and reimbursement, and actions seeking a wide range of relief including declaratory relief, compensatory and punitive damages, rescission and reformation. 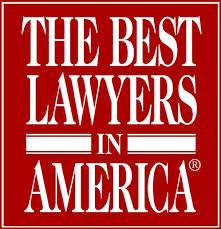 Our lawyers have extensive experience in claims review and analysis, due diligence audits and inspections, negotiating the resolution of specific matters and commutations involving multiple books of business, assisting in building business relationships and workable protocols between companies in addition to serving as counsel in mediations, arbitrations, trials, and appeals in the full range of coverage disputes. We have served as national and regional counsel and are adept at coordinating activities and maintaining consistency. Hinshaw lawyers regularly evaluate and advise clients in myriad bad faith, extra-contractual, and market conduct matters. We represent insurers in trial and appeals of first and third party bad faith actions in courts across the country. In addition, we advise clients and provide training in proper claims practices and compliance with statutory, regulatory, and common law requirements and best practices. Our experience extends to a variety of claims, including allegations of: inadequate investigation; unreasonable failure to defend or indemnify; unfair or improper claims handling; and unfair settlement practices or failure to settle; and in various other allegations. Hinshaw lawyers are well-versed in defeating such claims and in limiting recovery of damages, including punitive damages and attorney fees. 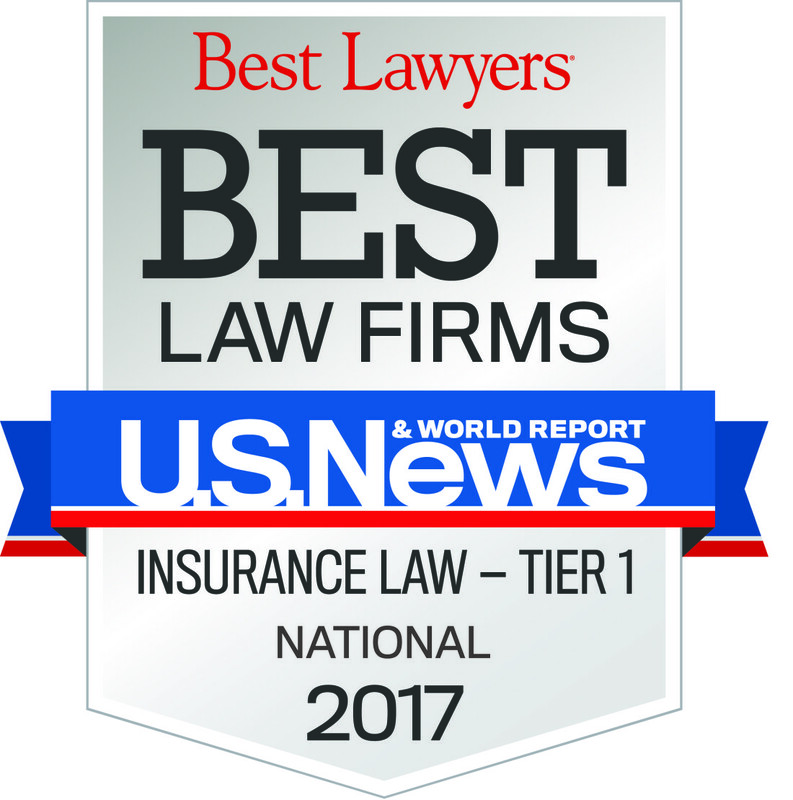 We represent insurers with respect to other extra-contractual claims, including claims involving loss control and risk management services; alleged conspiracy claims; alleged improper hiring or supervision of contractors; alleged breaches of fiduciary duties; alleged violations of insurance regulations; and alleged fraud and misrepresentation. Hinshaw lawyers also represent insurers in the resolution of market conduct claims and class actions, including claims relating to premium pricing, alleged policyholder discrimination, claim adjustments and property valuations, and a variety of other matters. Our reinsurance experience includes representing clients in litigation, arbitration, and dispute resolution. We also provide advice and planning on insurance and reinsurance issues arising in the normal course of business and in connection with commutations, run-off operations, and acquisitions. Hinshaw lawyers regularly assist insurance industry clients in completing high-level business transactions such as strategic business sales and acquisitions, agency/broker relationships, licensing, and response to regulatory authorities. We have represented insurance companies and agencies, third party administrators, managing financial agents and claims specialist in these matters. Hinshaw lawyers have assisted clients in forming domestic captives to afford property, casualty and workers' compensation coverage for operations in all 50 states. We also advise clients regarding the economic risks and tax consequences associated with self-insurance and captive insurances. We also have been involved in the creation of captive insurance companies, self-insured pools, risk retention groups, and other vehicles for risk transfer. We have assisted companies in creating and implementing insurance programs and in drafting insurance policies, endorsements, and exclusions. Our lawyers regularly appear in a wide variety of regulatory matters before state insurance regulators nationwide, defending enforcement actions and other administrative proceedings involving a variety of issues, orders to show cause, agency appeals, notices of non-compliance, and rulemaking. Hinshaw lawyers have considerable experience in insurance company conservation, rehabilitation, and liquidation proceedings, including: representing insurers before insurance regulators; preparing bids for assumption of business; negotiating and documenting commutations; and litigating reinsurance, claims and asset valuation disputes. Our insurance company insolvency litigation experience includes representing clients in state and federal courts, at both the trial and appellate levels. We have represented numerous clients — both foreign and domestic — including secured and unsecured creditors of insolvent insurers and policyholder groups. Our attorneys provide advice and representation in connection with fraudulent conveyance and preferential transfer claims and allegations. We counsel insurers regarding required notices and disclosures to regulators and other interested persons. We also negotiate with insurance regulatory and have acted as the statutory receiver of insolvent insurers. We have extensive experience advising on domestic and foreign insurance and reinsurance company insolvencies, schemes of arrangement, and run-off operations, and have devised and executed numerous successful strategies in the context of legacy business. Hinshaw counsels and represents insurers with respect to claims management, litigation management, and legal fees issues and disputes. We assist insurers in analyzing the reasonableness and necessity of costs and fees incurred in complex litigation. Our lawyers have served as counsel and as experts at the claims stage, in trial and appellate courts, and at mediations and arbitrations. 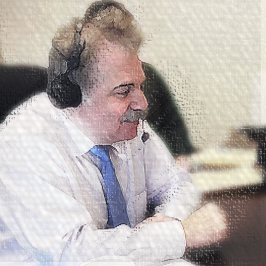 Common matters include analyzing fees and costs of independent counsel, Cumis counsel fee arbitrations, and allocating and apportioning fees and costs. We also assist insurers in implementing billing guidelines and cost controls in complex litigation. Hinshaw's Scott Seaman Quoted in Law360 Article on "Insurance Cases To Watch in 2018"
Duty to Defend: A Fifty State Survey—We are pleased to announce our new book, Duty To Defend: A Fifty-State Survey. This work — which is Volume III of the Hinshaw & Culbertson LLP On The Law Series — examines issues of significance to insurance claims professionals and lawyers making decisions about properly responding to complaints tendered for a defense under the laws of each of the fifty states. 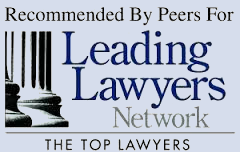 The Survey is presented in question-and-answer format and addresses eleven key issues commonly presented in connection with the duty to defend. Download a copy of the guide (PDF). 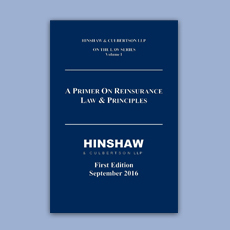 A Primer on Reinsurance Law & Principles—Volume I of the Hinshaw & Culbertson LLP On The Law Series—provides an overview of bedrock reinsurance principles and highlights some of the issues presented in contemporary reinsurance disputes. It is designed to be a desk reference for insurance and reinsurance professionals. Download a copy of the guide (PDF). 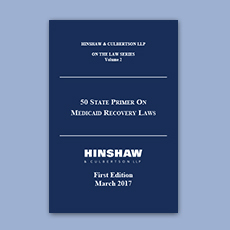 50 State Primer On Medicaid Recovery Laws—Volume II of the Hinshaw & Culbertson LLP On The Law Series—provides an overview of the Medicaid Recovery laws of the fifty states. Download a copy of the guide (PDF). 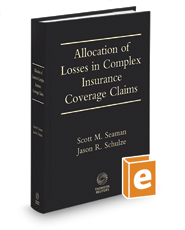 Allocation of Losses in Complex Insurance Coverage Claims, 6d addresses some of the most important and challenging issues confronting insurance and reinsurance practitioners and professionals today. This marks the sixteenth consecutive year that this authoritative work has been updated. It offers comprehensive treatment of many of the issues driving contemporary insurance claims and coverage litigation, as well as reinsurance cessions and arbitrations. This edition of the treatise is now available as an e-book in addition to the traditional hard copy book. Five-volume work combines analyses of insurance compliance requirements, insurance coverage substantive law and practical guidance for the practice of all aspects of insurance law in California. The globalization of the world economy has added complexity to and impacted all stages of the insurance industry. 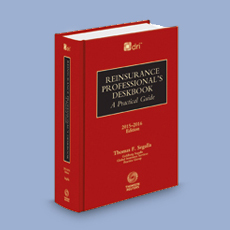 Reinsurance Professional's Deskbook brings clarity to the historical concepts of reinsurance and provides a practical assessment and application of these concepts within the context of this current insurance market. The Insurance and Reinsurance Services brochure describes the capabilities, knowledge and strategic commitment to serve insurers by Hinshaw's premier team of leading insurance lawyers. 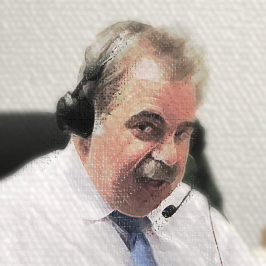 Join Hinshaw Insurance Law Radio host Scott Seaman, co-chair of Hinshaw's Insurance Services Practice Group, and other prominent attorneys and members of the insurance and reinsurance industry for interesting analysis, discussions, and updates on insurance coverage, reinsurance, bad faith, defense, and litigation management issues, developments, and cases impacting practitioners, insurers, and reinsurers. 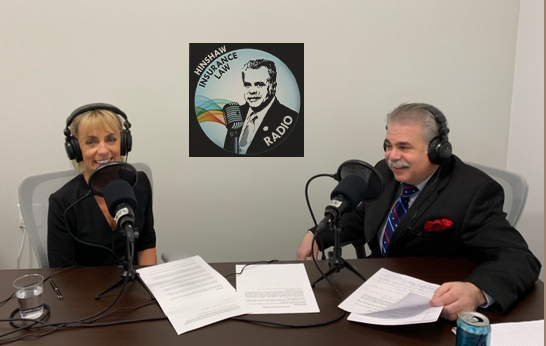 Host Scott Seaman talks with Ms. Dorothy Flower, one of the leading medical malpractice lawyers in the U.K., and a partner at the London, Singapore, and Hong-Kong based law firm of Reynolds Porter and Chamberlain (RPC). Dorothy (pictured, left) and Scott (pictured, right) discuss some of the major medical malpractice and product liability trends in the U.K. and Europe, as well as some of the differences between U.S. and U.K. law and practice. Scott Seaman (pictured, right) is joined by Simon Laird (pictured, left), the Global Head of Insurance at the London, Singapore, and Hong-Kong based law firm of Reynolds Porter and Chamberlain (RPC). Simon and Scott talk about international claims challenges keeping claims executives up at night, along with key insurance developments and things to watch in the U.K., Europe, and Asia. The pair also discusses the recently published RPC "Annual Insurance Review," to which Hinshaw contributed a section on key 2018 developments and outlook for 2019 in the United States. 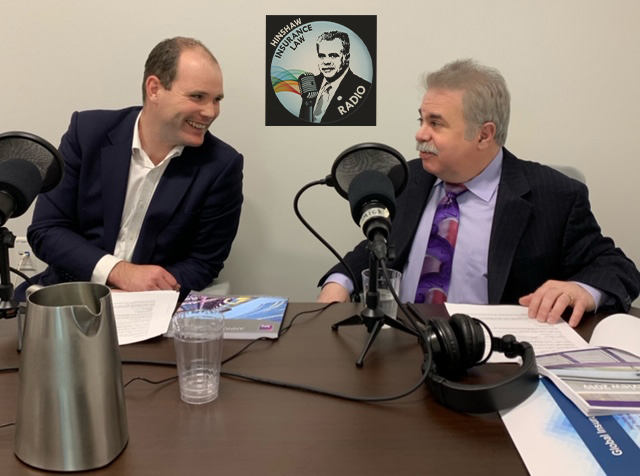 Host Scott Seaman, a Chicago-based partner and co-chair of the firm's national Insurance Services Practice Group, talks with Jeff Sistrunk, senior insurance reporter for Law360, about some of the key insurance coverage decisions that took place in 2018, as well as cases to watch in 2019. Jennifer Hammer, the Director of the Illinois Department of Insurance, discusses the Department's regulatory mission and current initiatives. Director Hammer discusses her goals and priorities as Director, along with issues and areas that she is tracking closely, including: autonomous vehicles and complex rating models; the Illinois omnibus bill; and mental health parity. Director Hammer will also be joining Seaman in a follow-up episode later this summer, to discuss her role as Chair of the National Association of Insurance Commissioners Property and Casualty Insurance Committee (NAIC). In this episode, Law360 senior insurance reporter Jeff Sistrunk returns to the program to discuss the top "Insurance Cases to Watch in 2018" with host Scott Seaman, co-chair of Hinshaw's Insurance Services Practice Group. There are a number of insurance cases attorneys will be watching in 2018. Medidata Solutions v. Federal Insurance Co.
We ring in 2018 by taking a look back at the past year in insurance coverage decisions. Jeff Sistrunk, senior insurance reporter for Law360, joins host Scott Seaman, co-chair of Hinshaw's Insurance Services Practice Group, to discuss his list of "The 5 Biggest Insurance Decisions of 2017." The Washington Supreme Court's April decision in Xia v. ProBuilders Specialty Insurance Co. on the absolute pollution exclusion. The Pennsylvania Supreme Court's September decision in Rancosky v. Washington National Insurance Co. on bad faith. The South Carolina Supreme Court's January decision in Harleysville Group Insurance v. Heritage Communities Inc. on reservations of rights and allocation. The California court of appeals November opioid coverage decision in Travelers v. Actavis. 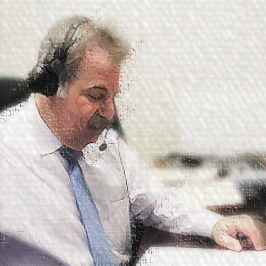 Ringing in the New Year: In this episode of Hinshaw Insurance Law Radio, we ring in the new insurance coverage year. Jeff Sistrunk, senior insurance reporter for Law360, joins host Scott Seaman to discuss key insurance coverage decisions in 2016, as well as some cases to follow in 2017. There were several notable coverage decisions over the past year and there are several pending cases that present interesting issues. Mr. Sistrunk tells us how he went about selecting the top cases for his Law360 articles and discusses what makes these decisions important. Scott Seaman and Edward Lenci discuss reinsurance arbitrations and arbitration clauses. They address choice of forum, contents of arbitration clauses and discuss how ceding companies, reinsurers, and reinsurance intermediaries may draft effective arbitration provisions to achieve the fairness and efficiency parties seek to achieve in submitting disputes to arbitration. They discuss these issues at a meeting of the Intermediaries and Reinsurance Underwriters Association (IRUA) in New York. This features the question and answer session following the presentation of Scott Seaman and Edward Lenci on reinsurance arbitrations and arbitration clauses recorded at a meeting of the IRUA in New York. On hand were several experienced reinsurance arbitrators and umpires and they raised some interesting issues and provided important insights to managing the arbitration process.